Not sure if anyone would find this tool useful but I thought I’d share a small custom component that I have been using a lot lately in case it is of any help to other folks. Quick Background: For some projects, in order to help manage certain data, we like to embed certain bits of info directly into the Rhino scene objects rather than do everything in the Grasshopper environment. 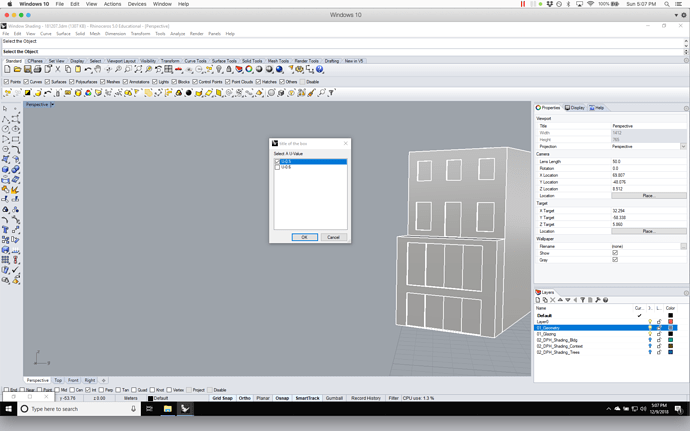 While there are definitely times its nice to do everything in GH (if your running lots of scenarios, if things are changing dynamically, etc…), its seems that in many projects we’re working on in our office its been easier to manage the data within the 3D scene directly instead. 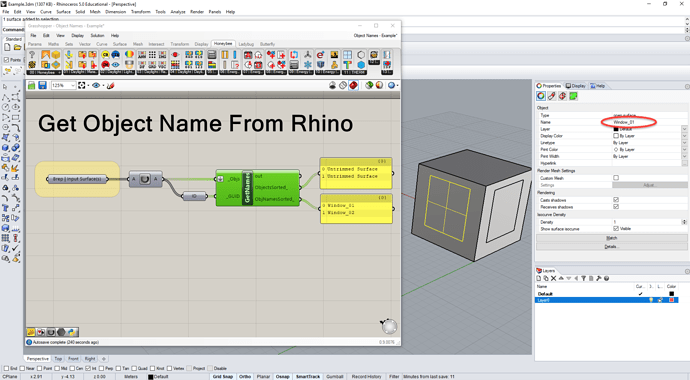 For instance - for many models I’ve found I like to build the object names right into the Rhino scene, rather than add them in GH. But, in order to be able to pull that data from Rhino into GH though I had to make a quick component (not sure if this is already a tool someplace else in GH but I couldn’t find it back when I built this - so apologies if I’m duplicating here). 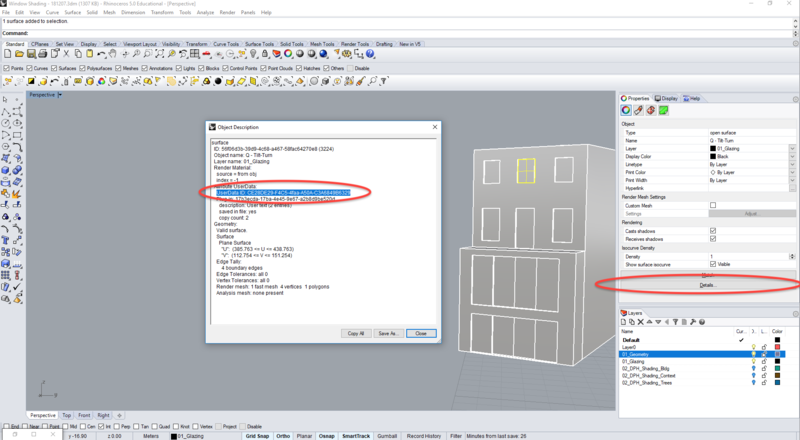 I’ve used this tool to help me control / manage windows in our models mostly - for lots of our work I like to keep an eye on windows on a unit-by-unit basis for things like solar gain / transmission loss and having the names flow through the entire workflow automatically allows us to keep better control and review output better at the tail end of the simulation. at any rate, in case that is of any interest or use to anyone I’ve attached an example Rhino/GH file with the simple name reader component here. 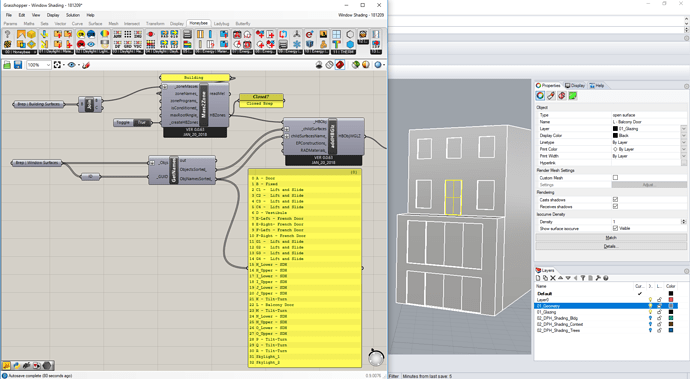 While there are definitely times its nice to do everything in GH (if your running lots of scenarios, if things are changing dynamically, etc…), its seems that in many projects we’re working on in our office its been easier to manage the data within the 3D scene directly instead. Thanks for sharing! This is very true and this component definitely help. 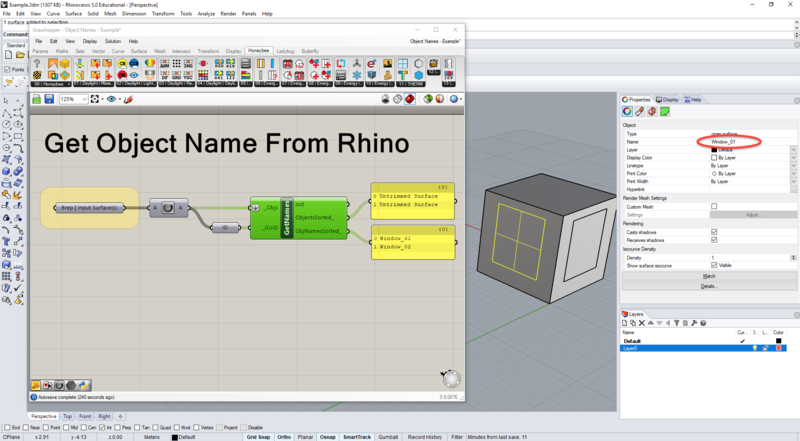 We should consider loading model from Rhino and dumping model into Rhino for Honeybee[+].